Anyone looking for a job on a cruise ship must beware of cruise ship employment scams. As the cruise industry is growing, many major cruise lines warn job applicants of fraudulent companies and individuals pretending to be cruise line recruitment partners. 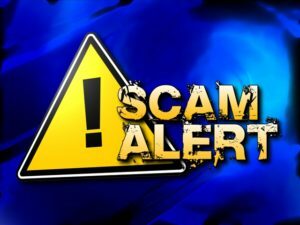 What are some common cruise employment scams, why do you need to be worried, and how can you avoid being scammed? There are many different types of cruise ship employment scams that job seekers need be aware of. These include false offers of employment, deceitful emails, email phishing, phony online applications, cruise employment databases, resume blasting, foreign work permit scams, request of payment for services, request of payment for a “deposit”, 1-900 number advertisements, and offers of non-required training and courses. Getting hired to work on a cruise ship is not a quick process and the cruise job market is very competitive. It may be tempting to pay a fee for a service that gets you hired quicker or a “Guaranteed Job Offer”, but beware. Scammers are banking on a jobseeker’s sense of urgency. The bottom line is that the only way to get hired to work on a cruise ship is to work with an authorized cruise line hiring partner. Most major cruise lines recruit their officers and crew through a network of approved employment agencies, also known as hiring partners. These recruitment partners locate, screen, and interview potential employees on the cruise line’s behalf. In general, cruise lines pay their hiring partners for their services and will never require candidates to pay an application fee, processing fee or agency fees. If you are being asked to remit monies as part of your employment application, be aware that this is fraudulent solicitation. There are other red flags or indications that a company or individual is deceitfully representing themselves as a legitimate recruiter with the intent to collect your personal information and your money. These fake agencies and fraudsters are becoming more sophisticated in their attempts to lure jobseekers with the promise of a cruise ship job. These fraudsters are preying on jobseekers’ desperation for employment. After you pay them a fee, you will find out there is no job. Remember, only authorized cruise line hiring partners have the authority to hire you! Don’t be fooled by authentic-looking websites with content that includes cruise line logos, crewmember testimonials, and even job vacancies. Also, be aware of phishing emails and fraudulent job advertisements from these so-called agencies. If the agency is not listed as one of a cruise line’s authorized hiring partner, then you are at risk by giving that agency your personal data or money. Here are some other tips to avoid cruise employment scams. Avoid agencies that provide testimonials or references from people who supposedly used the agency’s services. These are fake. Visit a cruise line’s employment web pages to know exactly which regional hiring partner to apply with. You can also visit this website’s Directory of Authorized Cruise Line Hiring Partners for a list of agencies you can trust.